A rift in the Salt Lake Valley’s Greek Orthodox community could be further ruptured or mended as members gather Sunday to debate the governance of their church. For the first time in two years, according to court documents, the Greek Orthodox Church of Greater Salt Lake is holding a general assembly, a democratic meeting that allows members in “good standing” to vote. The special meeting has prompted dueling mailings, rumors of a protest and even a request for a court-ordered delay. The parish, which includes Holy Trinity Cathedral in downtown Salt Lake City and Prophet Elias Church in Holladay, has asked Salt Lake County’s Unified Police Department to provide officers at Prophet Elias to keep order. Initially, the church planned to pay for the time, but UPD has agreed to provide the service at no charge. At issue on Sunday are votes for bylaws and articles of incorporation that will bring the Salt Lake church into line with Uniform Parish Regulations used by Greek Orthodox parishes throughout the nation. Opponents of the new documents, including church members who filed a lawsuit, fear that adopting the rules would cede control of the church’s finances to regional and national authorities in the Greek Orthodox Church. Last month, several voting members of the church, saying they were acting on behalf of the nonprofit Greek Orthodox Church of Greater Salt Lake, sued members of the church’s parish council in Utah’s 3rd District Court, alleging that the council had “frozen out” voting members and “effectively hijacked” the church’s affairs. A judge ordered the council to turn over a list of the church’s voting members and financial records, but refused to grant a temporary restraining order to prevent Sunday’s meeting. Other matters in the case are still being litigated. 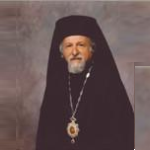 Meanwhile, Metropolitan Isaiah, the Greek Orthodox leader for a 12-state region that includes Utah, has written to pastors of the two Salt Lake area churches, saying that plaintiffs and an attorney in the lawsuit are not to be allowed to attend the general assembly or vote. Usually, if there are no ecclesiastical concerns, members in “good standing” are deemed to be those who are up-to-date with annual financial pledges to the church. At least some of those who have been banned say they plan to attend the meeting, anyway. Nick J. Colessides, 74, said he plans to attend and vote “no” on both resolutions. The lawsuit calls for new elections by the general membership of the Greater Salt Lake church of a full 15-member parish council. Currently, the council has eight members, most of whom were appointed, not elected, to fill vacancies. Elections already are scheduled for December, notes council member Phillip Floor, who is a defendant in the lawsuit. He said the regulations up for adoption on Sunday are a “minor bookkeeping” matter that have been mischaracterized by the opposition. For one, he said, the uniform rules require that financial control stays with local parishes. With its meeting notice, the Greater Salt Lake parish sent out a three-page list of “myths” and “realities” about the dispute. The Rev. Michael Kouremetis of Prophet Elias and the Rev. Matthew Gilbert of Holy Trinity did not return phone calls seeking comment on Friday. P The Greek Orthodox Church of Greater Salt Lake will hold a special parish assembly to vote on new articles of incorporation and bylaws. The assembly is open to members in “good standing” who have followed through on yearly financial pledges to the church and who are not part of a lawsuit against the church. When • Sunday, 2 p.m.